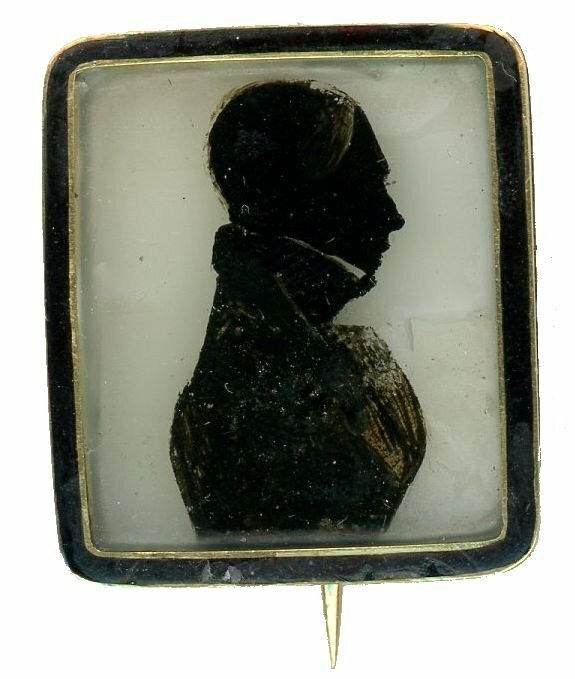 This unusual Scottish School silhouette brooch depicts a half-length portrait of a gentleman named Alexander Graham, born in September 1803. He was a lieutenant in the Royal Scots and died on 28 June 1825, presumably whilst on active service with either the 1st Regiment which in 1825 moved from Ireland to the West Indies or with the 2nd Regiment then involved in the First Anglo-Burmese War. The silhouette is reverse painted on glass and is backed with wax. 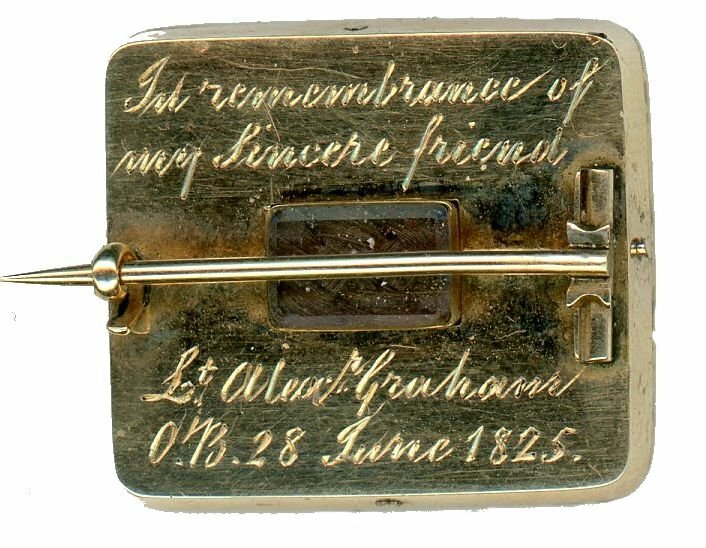 It is set in a gold brooch with a black enamel border with a small glazed panel revealing plaited hair on the reverse. 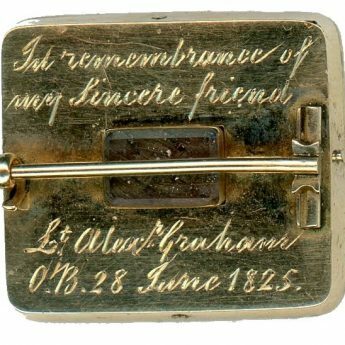 It is engraved with the sentiment – “In remembrance of / my Sincere friend / Lt Alexr Graham / O.B. 28 June 1825”. It has not been possible to attribute the silhouette to a particular profilist as there does not appear to be any comparable jewellery pieces painted on glass without a bust-line termination and backed with wax. Its provenance points towards a Scottish artist but there is no known evidence of any Scottish silhouettist painting small profiles on glass during that period. The silhouette has scattered spots of paint loss most noticeable to the top of the head and minor craquelure to the wax at three o’clock. A remarkable little survivor!